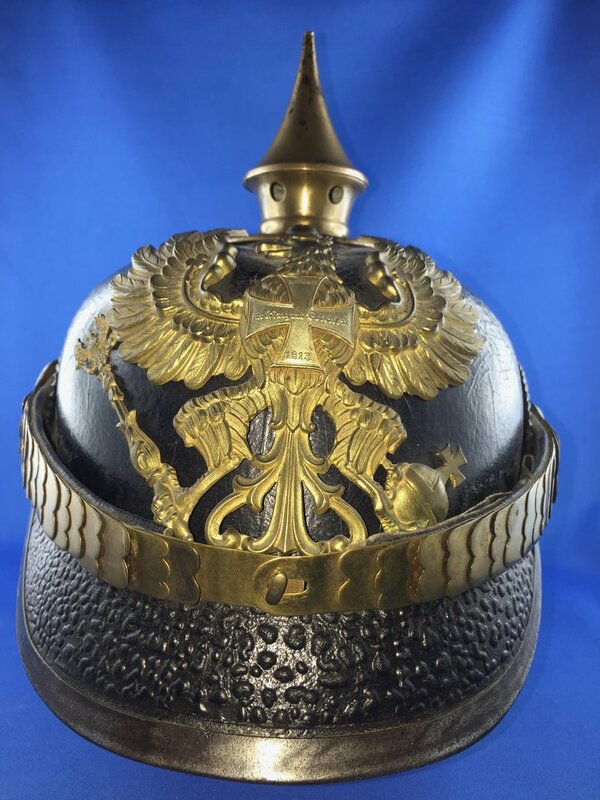 This time ist is a prussian Reserve "other ranks"
Pickelhaube 1 was a nice one! Well, I hate disappointing you but the eagle is for an officer helmet, spike base attachments are wrong, the front visor rim is iron, coming from an M15 model, and the spine is at least broken, and possibly missing. 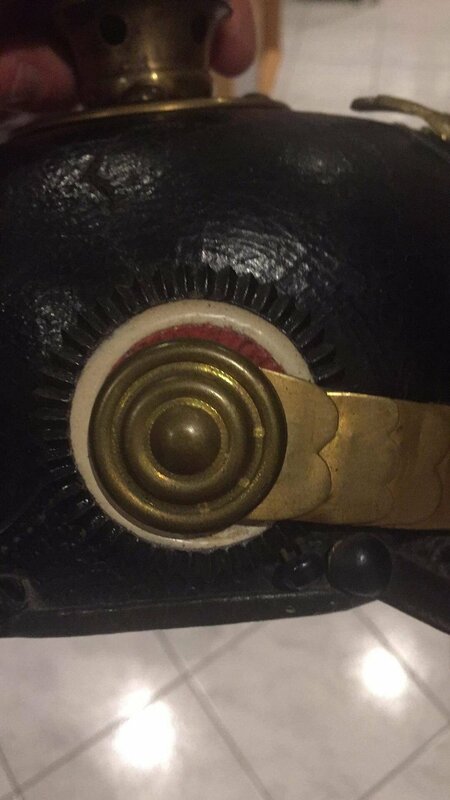 Looks like a put-together helmet... sorry. 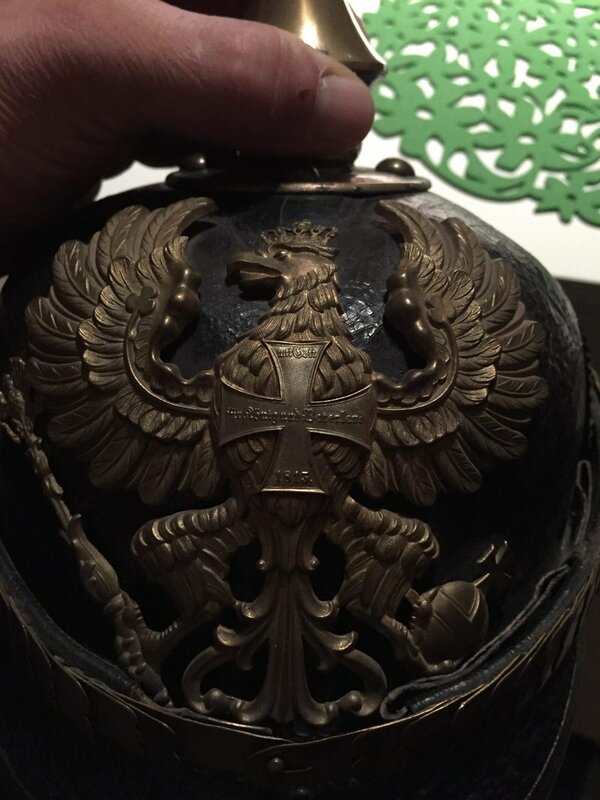 The large cross on the wappen indicates Prussian Landwehr not reservist. The spike base brads are repros because the prongs are too long and shiny. The front visor trim does look to be M15 steel. 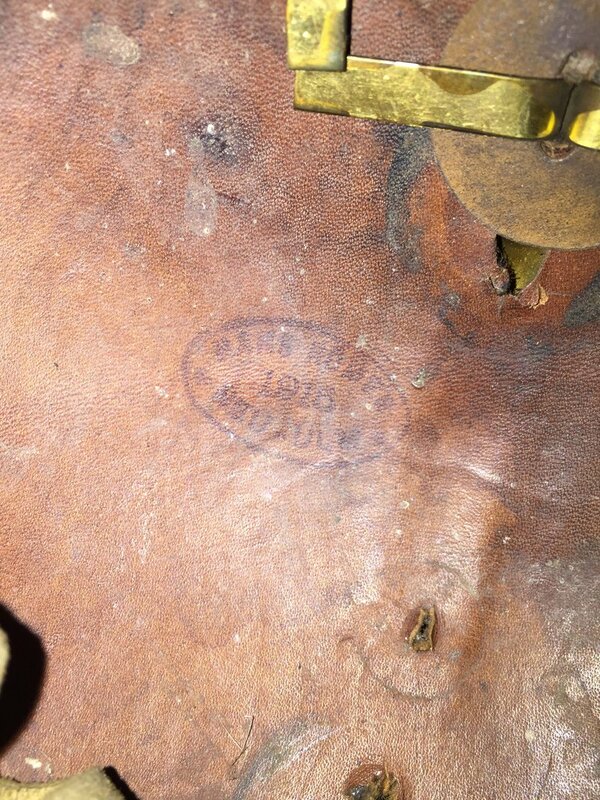 The liner is also a model 1915 style as it is undyed , a natural leather colour. 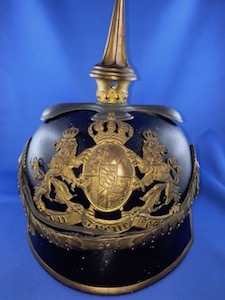 The older style of chin scales which have been put on this helmet do not match this liner. To match, the liner would be dyed black. 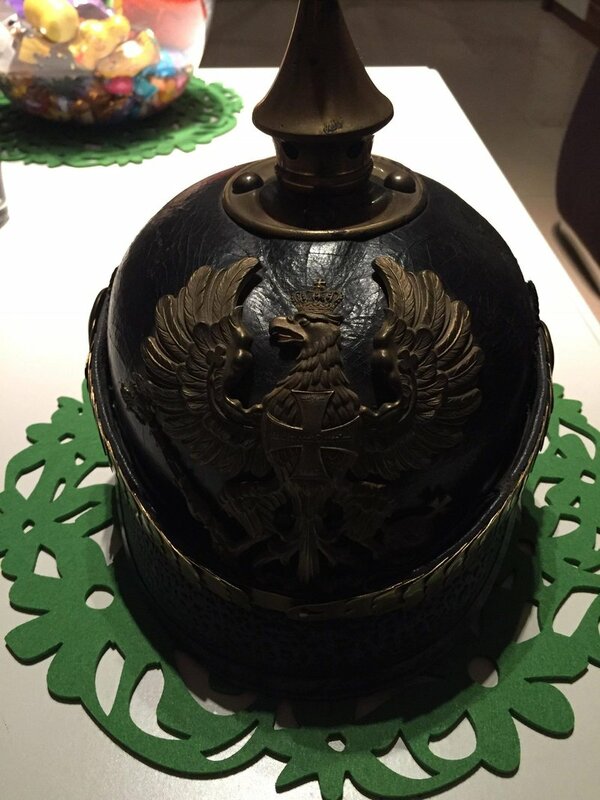 It is also my opinion, that this is a fireman's helmet dressed up to be a pickelhaube. 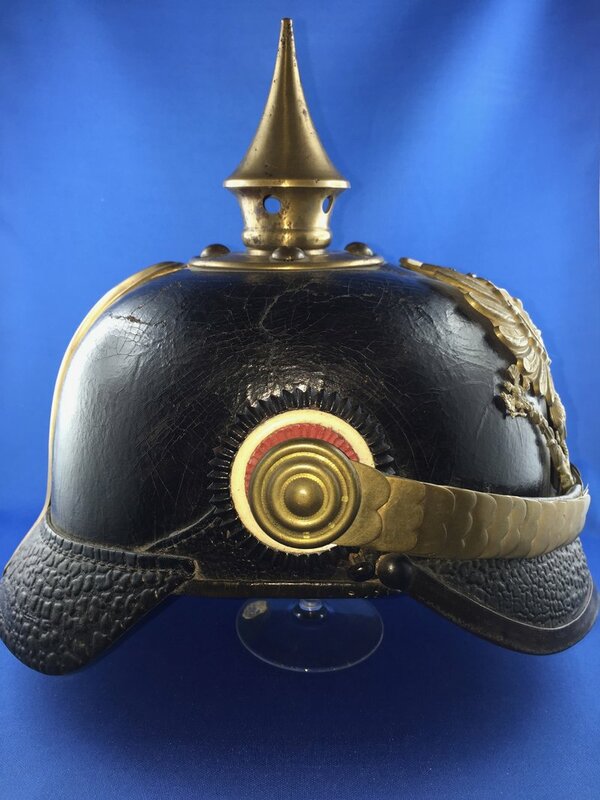 Many hauben were converted to fire helmets after the war. 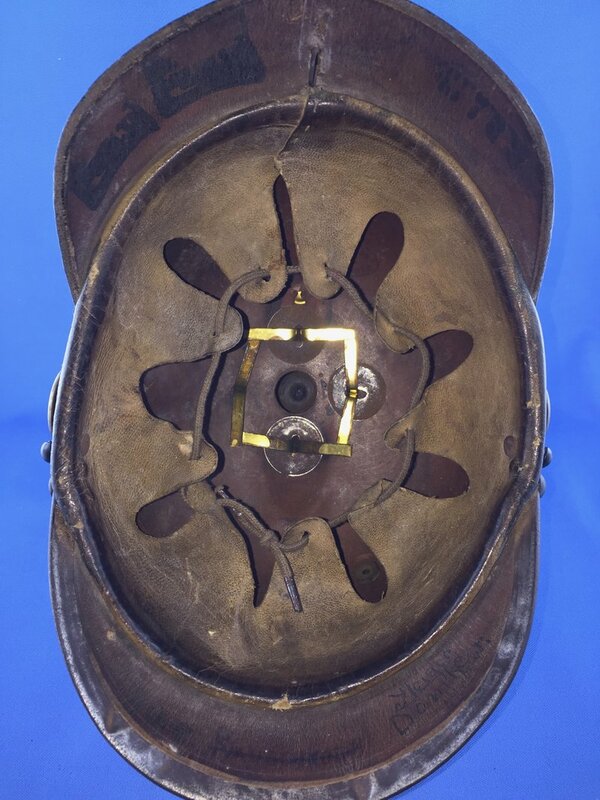 They have a brass or white metal “comb” which runs down the top of the helmet to the back. 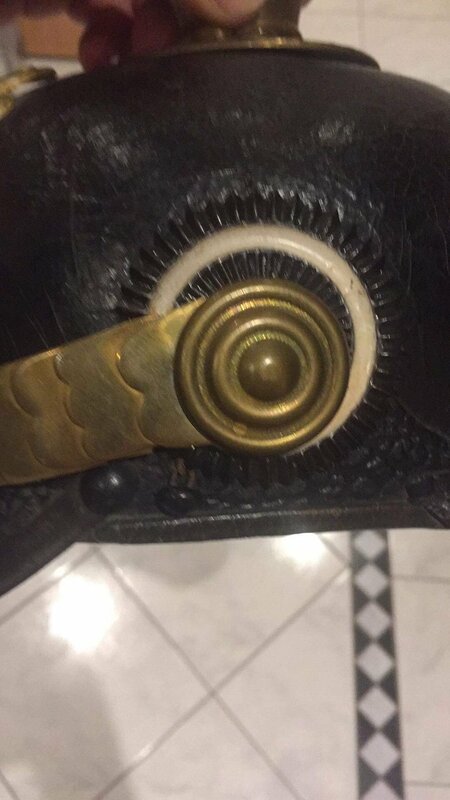 These combs cause a matching depression in the top of the shell, you can see this depression both on the inside and outside of the shell. So this piece has been faked and put together. Do not feel bad Thomas, we have all made mistakes when beginning our hauben collections. 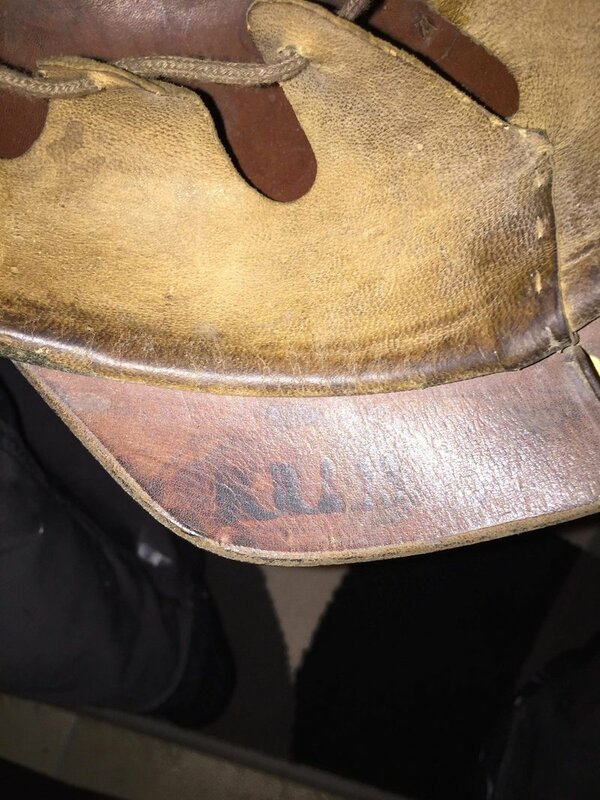 Please post some better fotos of this but I really feel that you will need to send this one back for a refund. 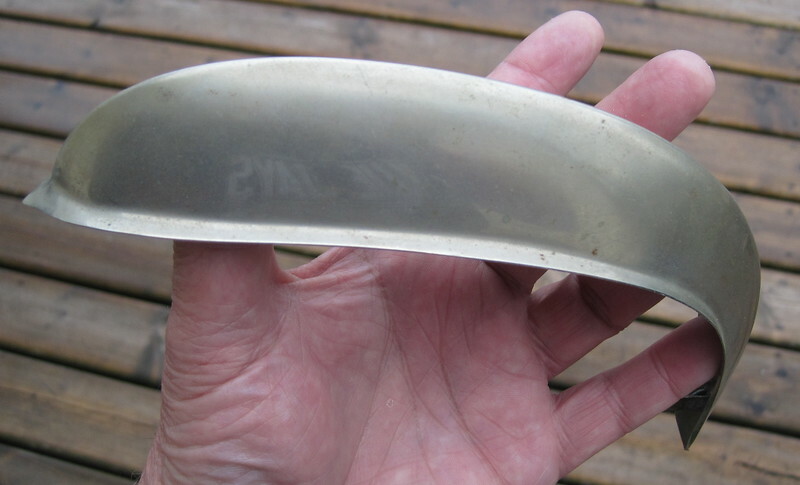 It´s the nature of the things that you somtimes have to pay some „learning money“ when you enter a new sector of collecting..
You will note that the depression seen in the top of the shell, matches this shape. Yor are right Jonas... the next time i will post here before i buy.. this one comes from a friend of mine.. he bought it years ago.. now i asked him dor it and we made an exchange.. ist not a great desaster.. as i said above.. i will hold it.. maybe for a needed soare part sometimes.. donˋt want to gibe it back to my friend.. i nerved him too much to get it..
Thomas, this is one of the easier haube lessons then, good to hear you did not lose money. There are some good parts on this helmet. One of our main purposes here is to provide new collectors with information before they "Buy". There are many fakes out there and we do not want members to get burned. 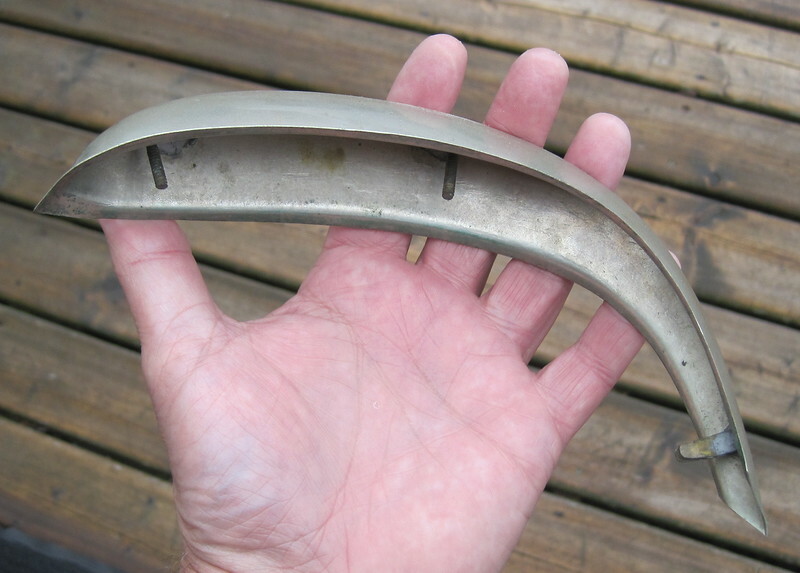 Why keeping the knodledge for yourself if you collect. 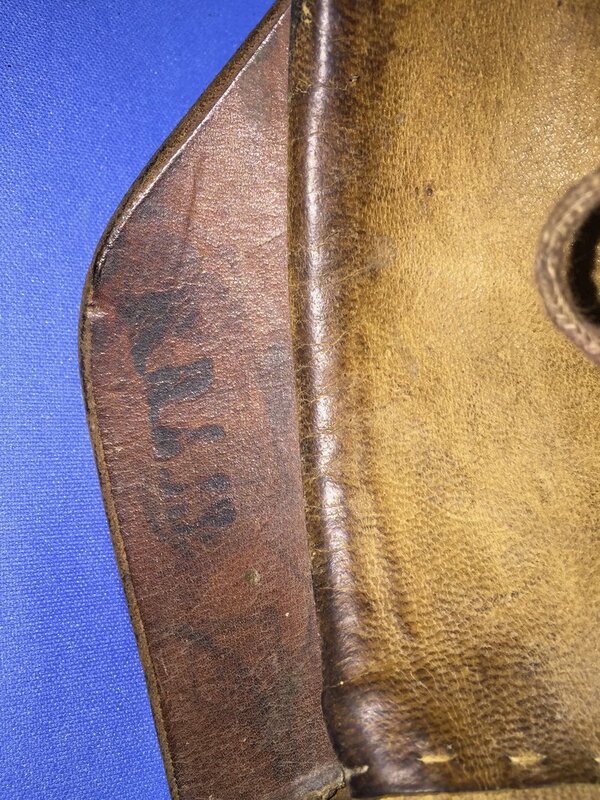 And you all were right... You can see clearly the imprint of the Kamm or Ziegelbrecher. 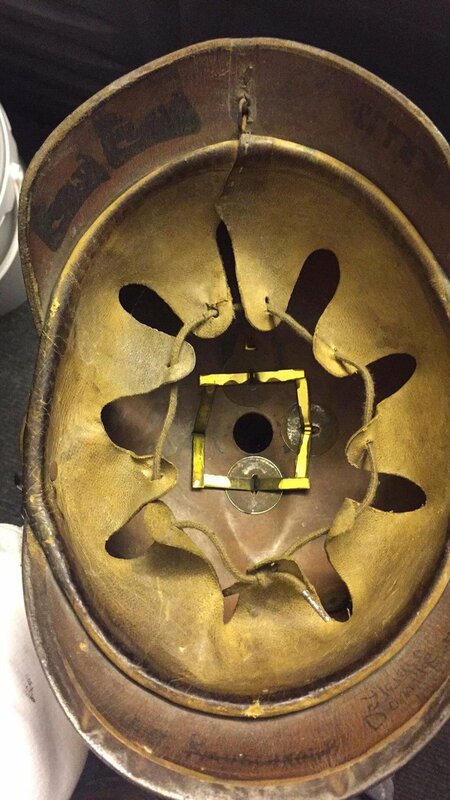 The rear spine is broken off at the bottom, the visor trim is silver..
Do not worry, everybody makes mistakes at first time collecting these helmets. 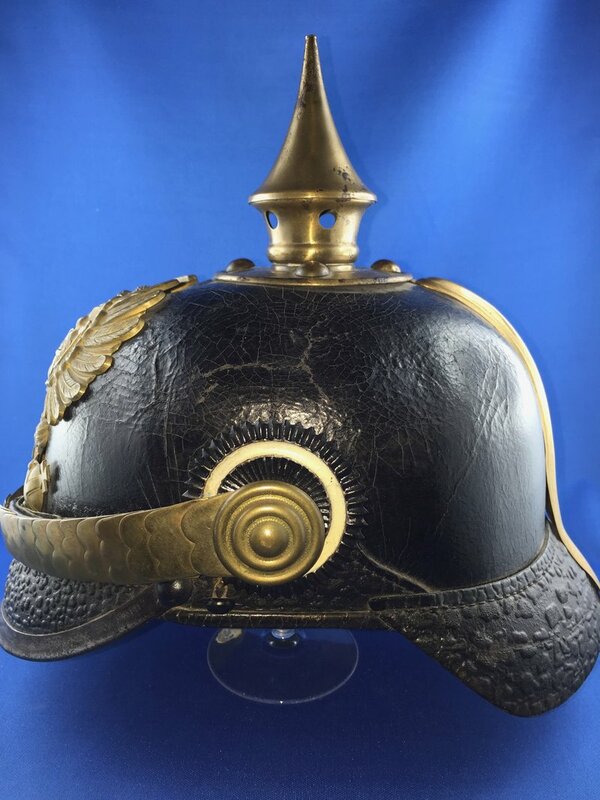 I bought a Einjährige freiwilliger helmet once, or so I thought. But it turned out to be a parts-helmet too. Yours looks to me to have been a M15 once, made by Hans Römer in Neu-Ulm, in 1916. 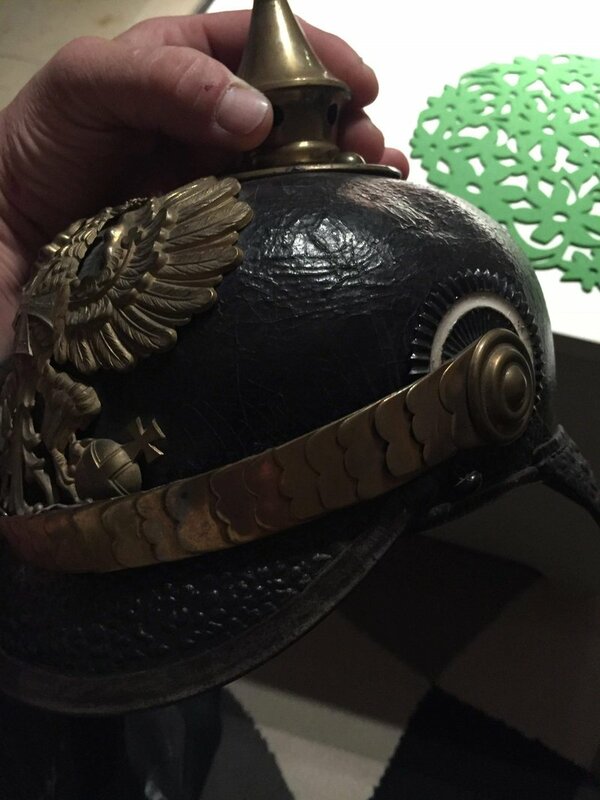 And after the war made in a firemans helmet, and later was made a pickelhaube again, but using the wrong parts from a M95. You could try to buy the correct M15 spike, a wappen and some correct posts for it, or leave it as is. The reservist wappen is worth money, so are some of it's other parts. Last edited by Hesi on Wed May 23, 2018 10:00 am, edited 1 time in total. As Brian said, you have some parts there that are nice. 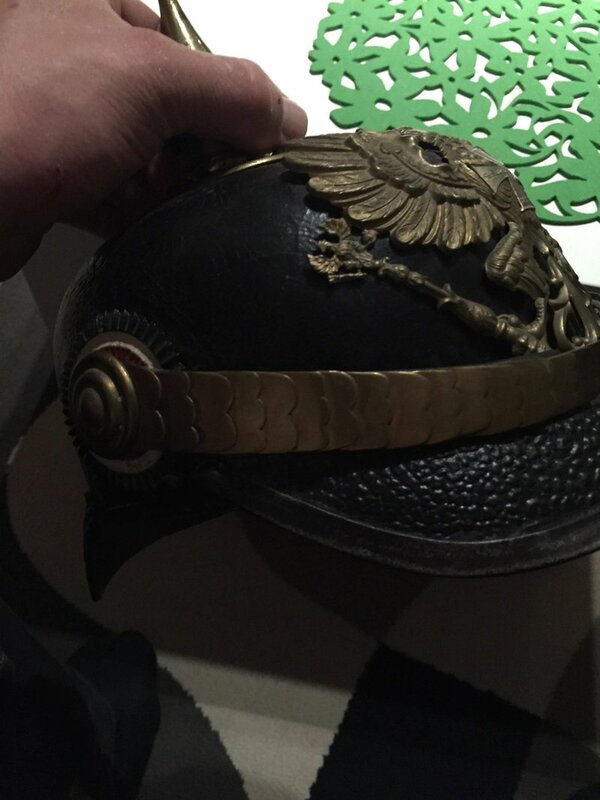 I have a couple civilian helmets from places I've visited, or because of the cool wappen (City of Worms for example). 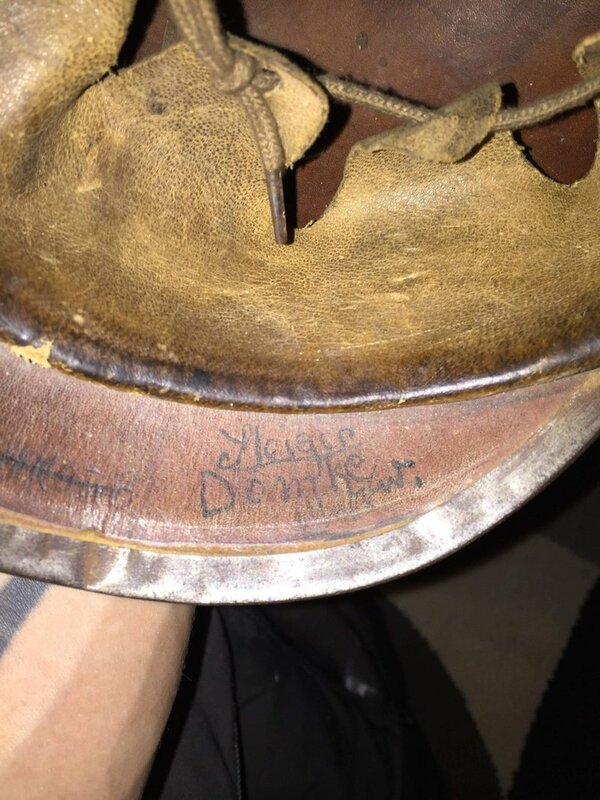 If you can find the comb and a plate that matches any imprint that may be there, you might even have a nice fireman's helmet restored, but I wonder about the side holes from the spike base. 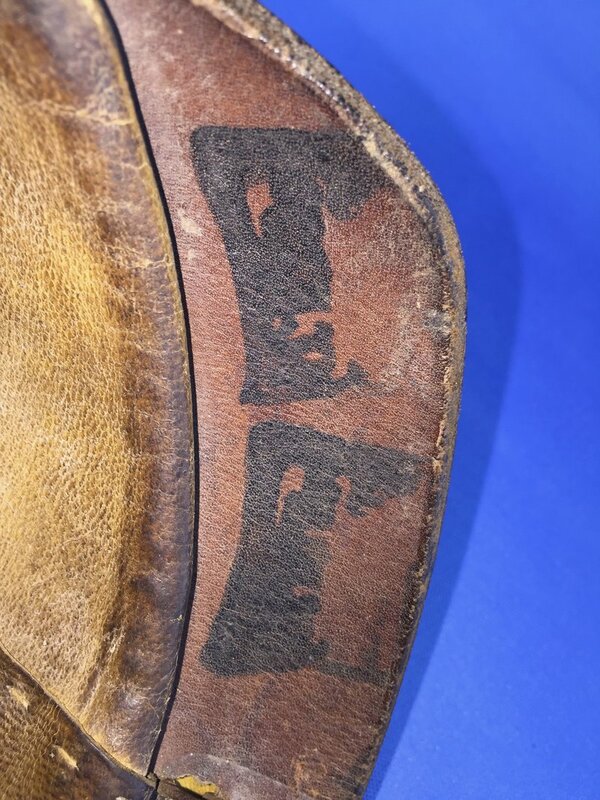 Yes, my first helmet was bought from a publication in the US called 'Shotgun News' and was a 'rare and beautiful spiked helmet'... yeah, it was neither (It even lacked the front visor, trim, but no visor and the liner was all torn to shreds). I fixed it up (i.e killed what little value it had), and still have it as a form for an Uberzug. You could always use this one for that purpose as well. I detected a little confusion on these crosses. Maybe I am wrong but this poorly written 2004 article might help. When it comes to Prussian officer wappen there are three distinct types. Active, reserve, and Landwehr. Then there are a million variations on a theme. I am not so sure the article says that clearly. I am only trying to help. 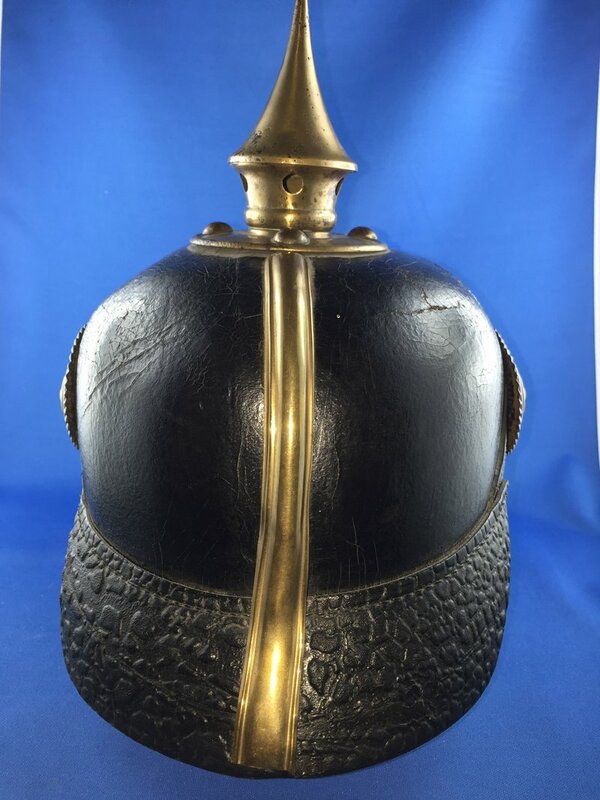 There is always something special about your first pickelhaube . Your helmet is definitely a parts helmet , but the parts do have value so do not feel down . So all is not a loss your helmet is NOT worthless. I like your location, "stormy northern Germany".... we're off to NRW in August near Münster, a city named Gütersloh.